Rufus is one tough dachshund. He is not intimidated by a loud leaf blower. If we let him outside while we blow, he’ll bite the rubber end. Inside he remains just as courageous, barking and defending his home and his loved ones from the terror of the evil leaf blower. Sound familiar to anyone?! 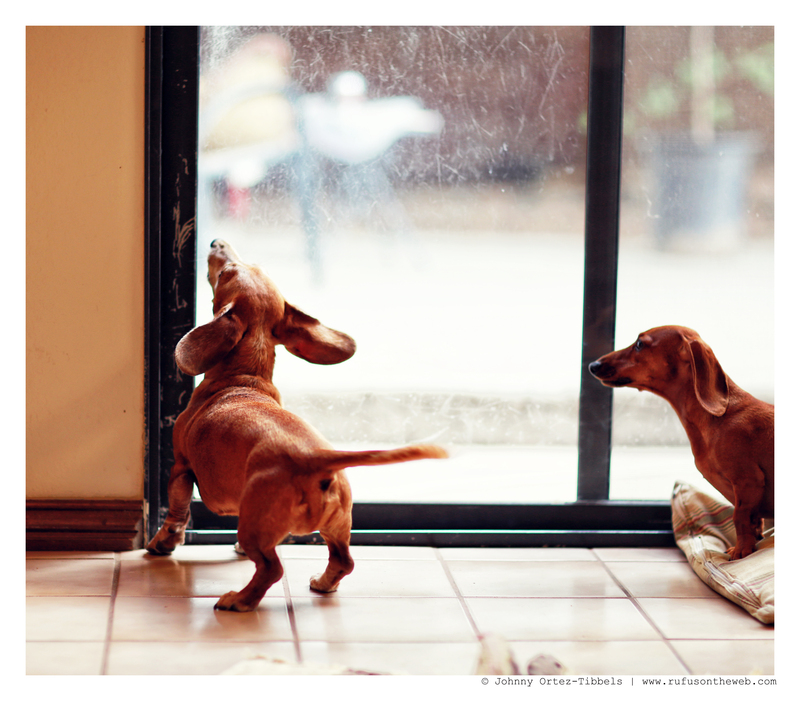 Dachshunds, gotta love them and their big loyal, protective hearts. 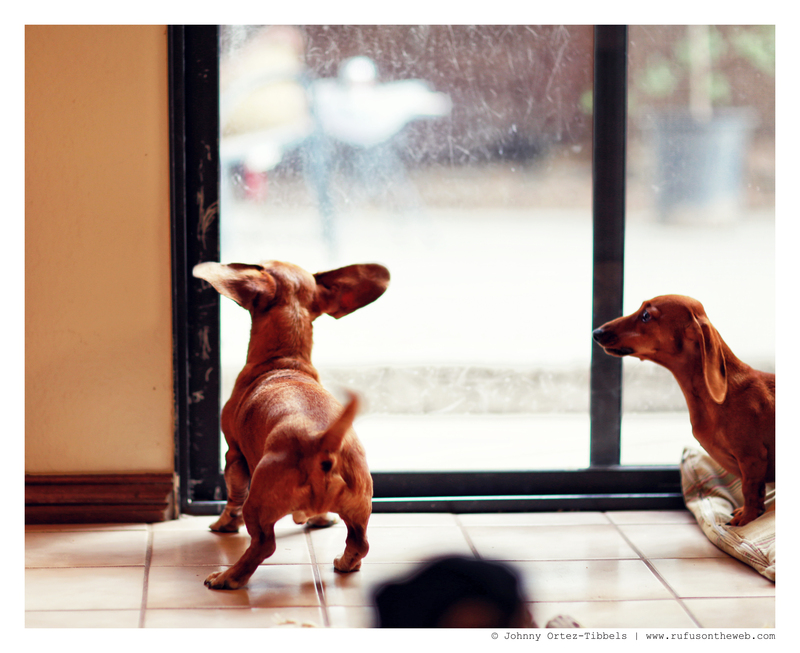 Have a great one dachshund friends. 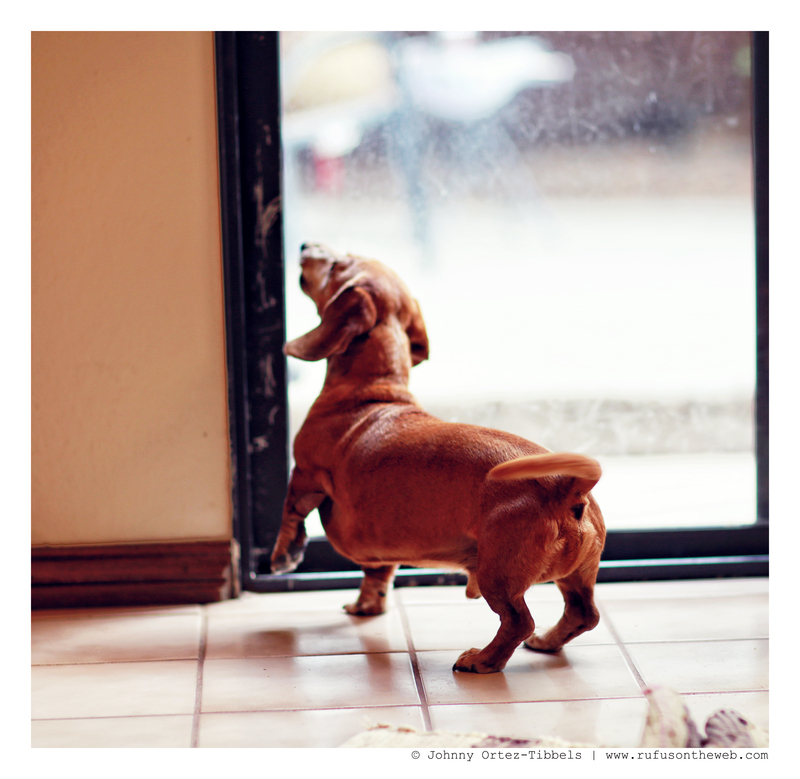 This entry was posted in Rufus and tagged #ADachshundsLife #HappyHounds, #dachshund, #red dachshund, #RedDachshund #RedRegalDachshund, #WienerDogs #HotDogs, doxies. Bookmark the permalink. I love the second photo of him! 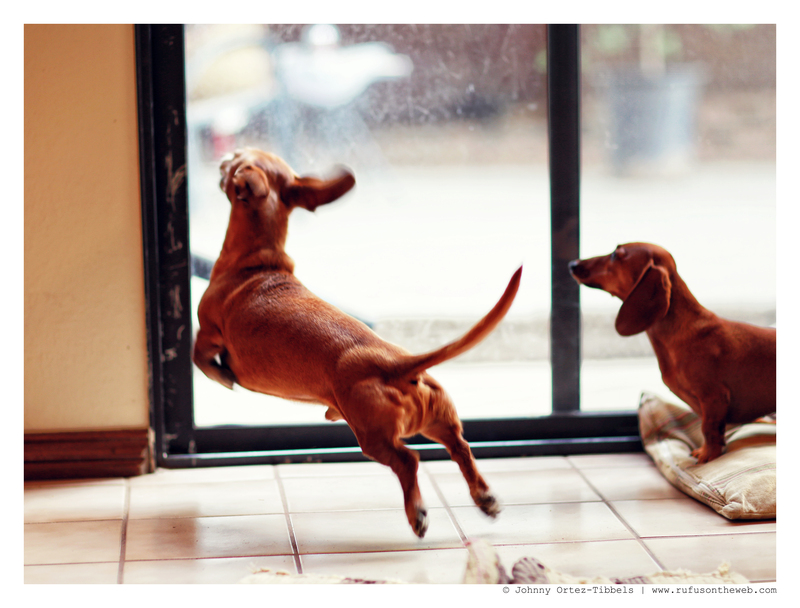 Action shots of Dachshunds are hilarious! 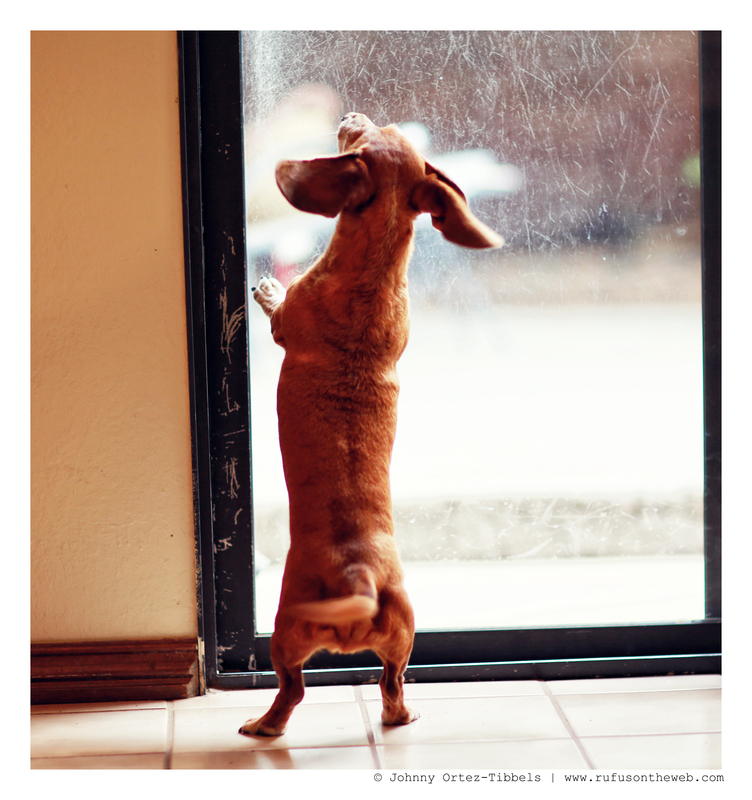 Rufus, is ready to jump into action!1 He is defending his home and loved ones!! Love you Rufus!!! !